A ten-year-old boy has died after a teacher 'told him' to jump from a building. 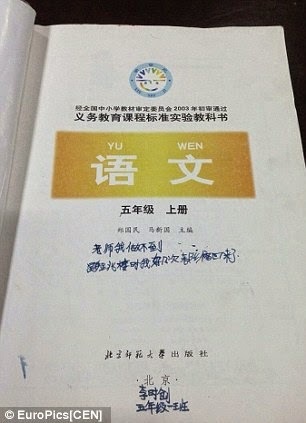 The Chinese youngster, named as Jun Jun, fell 30 floors to his death after failing to write a self-criticism letter demanded by his teacher. The fifth-grade primary school student had been told to write a 1,000-character apology by his teacher, Miss Chen, for talking in class. 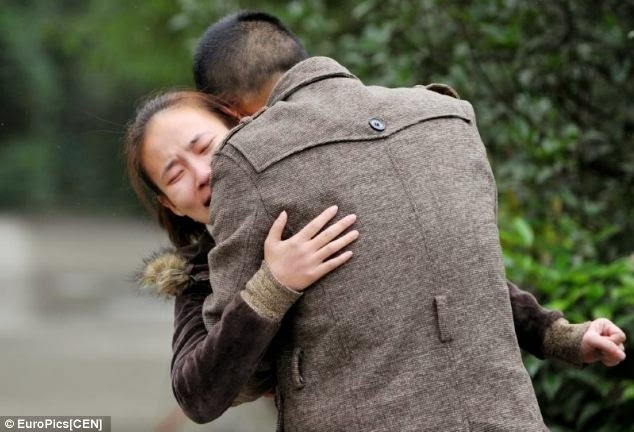 His devastated parents have now launched a campaign against the extreme pressure put on Chinese students.Neighbours say the 30-year-old teacher told him to jump out of a building after he didn't do the task. The child smashed into a parked car beneath the flat where his family live in Jinjiang district. Due to China's strict one-child policy, it is likely Jun Jun was the couple's only child. His family have posted a banner outside the school in the southwestern city of Chengdu saying 'The teacher forced our kid to jump off the building'.